The Apple iPad Pro features a 12.9-inch diagonal display with a resolution of 2732 x 2048 at 264 pixels per inch. So far, it is the highest-resolution display on any iOS device. If you want make full use of its wide and clear screen to play MKV movies, you will need to convert MKV media to a format that is compatible with iPad Pro first. That’s because MKV is not a format that iPad Pro supports natively. This requires third party MKV to iPad Pro Converter. Check this short tutorial to learn how to convert MKV to iPad Pro supported video. Before we start, you may want to know more about iPad Pro supported video and audio formats. How to transcode MKV files for iPad Pro playback? Step 1. Run aPubsoft HD Video Converter as the best MKV to iPad Pro Converter. Click “Add File” button to load source files that you want to convert. You can add multiple files into it at a time to do batch conversion. Step 2. Click “Profile” bar, and choose “Apple iPad > iPad Pro H.264 HD Video(*.mp4)” as output format for iPad Pro. You can also select other format for iPad Pro from the format list. Tip 1: If necessary, you can click “Settings” button and go to “Profiles Settings” panel to modify video and audio settings like video encoder, resolution, video bit rate, frame rate, aspect ratio, audio encoder, sample rate, audio bit rate, and audio channels. 3D settings are also available. Tip 2: Before converting MKV to iPad Pro MP4, you can edit MKV video by cropping, trimming, adding watermark effect, deinterlacing, merging, rotating and more by clicking “Edit” icon. Step 3. CLick “Convert” button to transcode MKV video to H.264 MP4 for iPad Pro playback with best video and audio quality. After the MKV to MP4 conversion completed, you can click “Open Folder” button to get the generated H.264 .mp4 videos. Now, you can transfer the converted MKV videos to iPad Pro via iTunes. You can enjoy MKV videos on iPad Pro freely. Tip: If you want to play Blu-ray movies on iPad Pro, you can Convert/Rip Blu-ray movies to iPad Pro supported video format. At present, MKV is popular for its high definition video quality. Therefore, it is easy to get various sorts of MKV files online for free. Many people prefer to download movies in MKV files as well. But these people have found that the MKV files cannot be recognized by fashionable iPhone. How to convert MKV to iPhone 7/7 Plus is a big problem in front of them. As the development of science and technology, digital media have become the necessary in daily life. iPhone is by now one of the best portable devices to watch videos, movies, TV shows and listen to music. The video formats iPhone supports are H.264, MPEG-4 in MP4, MOV and M4V. And the audio formats iPhone supports are MP3 and AAC. Very apparently, MKV files cannot be directly played on iPhone 7/7 Plus. 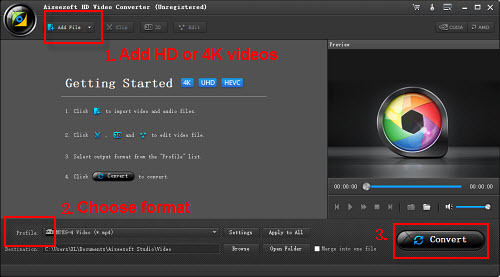 Therefore a MKV to iPhone Converter is in need to convert the MKV videos first. This article focuses on how to convert MKV to iPhone 7/7 Plus on Mac. With the aPubsoft Video Converter, you can complete the MKV to iPhone conversion in simple clicks, and then play it on your sweet, shiny, Apple iPhone. This aPubsoft Video Converter works seamlessly on Windows 10/8/7/XP to help users convert various video formats to iPhone like FLV, AVI, MTS and MKV to iPhone X/8 Plus/7/7 Plus/6s/6/SE/5s, Samsung Galaxy S8/S8+/Note 8 and more. An unique feature of this iPhone MKV video converter lies in its fastest MKV Video Converter for its pioneering use of Intel’s QSV hardware acceleration tech, which speeds up the whole conversion to 5X faster than other tools, all with excellent output quality! If you are Mac user, you can try aPubsoft Video Converter for Mac. Install and launch aPubsoft Video Converter as the best MKV to iPhone Converter on your computer, and click the “Add File” button to add MKV videos to it. Batch conversion feature allows you to import multiple MKV videos to convert. Click “Profile” bar, and choose “Apple iPhone > iPhone H.264 Video(*.mp4)” as output format for iPhone 7/7 Plus. You can also select other format for iPhone 7/7 Plus from the format list. Step 3. Start MKV to iPhone 7/7 Plus conversion. When settings done, click the “Convert” button to convert MKV video to MP4 for iPhone 7/7 Plus playback with best video and audio quality. After the MKV to MP4 conversion completed, you can click “Open Folder” button to get the generated .mp4 videos. Now, you can transfer the converted MKV videos to iPhone 7/7 Plus via iTunes. You can enjoy MKV videos on iPhone 7 or iPhone 7 Plus freely. Tip: If you want to play Blu-ray disc/ISO movies on iPhone 7/7 Plus, you can Convert/Rip Blu-ray movies to MP4, Play Blu-ray disc/ISO movies on iPhone 7/7 Plus. At present, MKV is popular for its high definition video quality. Therefore, it is easy to get various sorts of MKV files online for free. Many people prefer to download movies in MKV files as well. But these people have found that the MKV files cannot be recognized by fashionable iPhone. How to convert MKV to iPhone X is a big problem in front of them. As the development of science and technology, digital media have become the necessary in daily life. iPhone is by now one of the best portable devices to watch videos, movies, TV shows and listen to music. The video formats iPhone supports are H.264, MPEG-4 in MP4, MOV and M4V. And the audio formats iPhone supports are MP3 and AAC. Very apparently, MKV files cannot be directly played on iPhone X. Therefore a MKV to iPhone Converter is in need to convert the MKV videos first. This article focuses on how to convert MKV to iPhone X on Mac. With the aPubsoft Video Converter, you can complete the MKV to iPhone conversion in simple clicks, and then play it on your sweet, shiny, Apple iPhone. This aPubsoft Video Converter works seamlessly on Windows 10/8/7/XP to help users convert various video formats to iPhone like FLV, AVI, MTS and MKV to iPhone X/8 Plus/8/7s/7/6s/6/SE/5s, Samsung Galaxy S8/S8+/Note 8 and more. An unique feature of this iPhone MKV video converter lies in its fastest MKV Video Converter for its pioneering use of Intel’s QSV hardware acceleration tech, which speeds up the whole conversion to 5X faster than other tools, all with excellent output quality! If you are Mac user, you can try aPubsoft Video Converter for Mac. How to convert MKV video for playback on iPhone X? Click “Profile” bar, and choose “Apple iPhone > iPhone H.264 Video(*.mp4)” as output format for iPhone X. You can also select other format for iPhone X from the format list. Step 3. Start MKV to iPhone X conversion. When settings done, click the “Convert” button to convert MKV video to MP4 for iPhone X playing with best video and audio quality. After the MKV to MP4 conversion completed, you can click “Open Folder” button to get the generated .mp4 videos. Now, you can transfer the converted MKV videos to iPhone X via iTunes. You can enjoy MKV videos on iPhone X freely. Tip: If you want to play Blu-ray and DVD movies on iPhone X, you can rip Blu-ray/DVD movies to iPhone X supported format for playing.